Since the U.S.' exit from the Iran nuclear deal, Iran has doubled down on its diplomatic strategy to pressure Europe into offsetting the effect of American sanctions, which are slated to return by November. 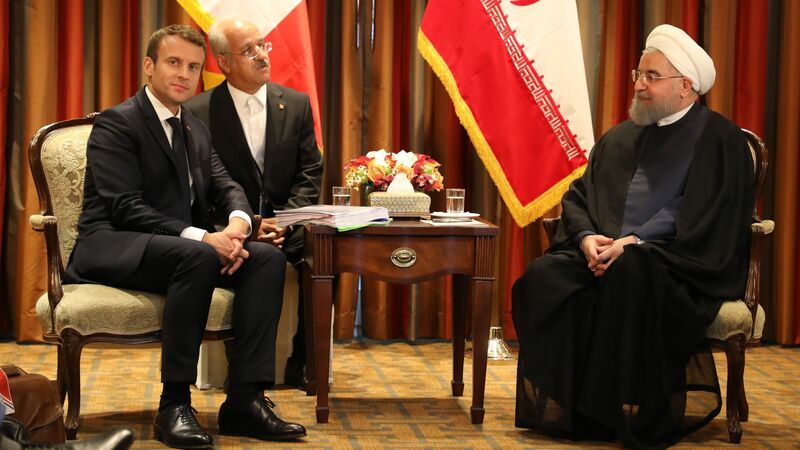 But Iran also appears to be hedging its bets, claiming to remain committed to the limited restrictions on its nuclear program while professing interest in boosting its enrichment capabilities and centrifuge manufacturing. The big picture: Iran — along with the EU, China and Russia — wants to keep the accord to remove the stigma surrounding its nuclear program and put the Islamic Republic on a path toward reintegration into the global economy. But large businesses, including energy, shipping and manufacturing firms, are already winding down operations in the country and will have to terminate their investments absent a waiver. To stop this trend, Iran has responded by leveraging fear, stating its intent to incrementally increase its nuclear capacity so that European politicians, banks and businesses provide Iran with sufficient incentives to abide by the deal. However, it's not clear how successful Europe’s initial efforts have been, as most banks remain risk-averse. What's next: Iran will likely wait at least until the 90- and 180-day sanctions-implementation dates before taking any drastic action. The U.S., gearing up to enforce sanctions, will likely continue threatening secondary sanctions while adding other parties involved in, or supportive of, Iranian malign activities to the Specially Designated Nationals list. The bottom line: Iran’s highly public interest in expanding its nuclear capacity is its way of responding to diplomatic and economic withdrawal. A form of graduated escalation, it signals the path Iran might take should the deal fail.